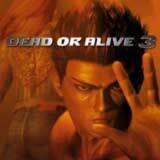 Techmo's popular arcade fighter, Dead or Alive 3 introduces at over three new characters, amazing 3D graphics and superior gameplay. Your ability to battle using various fighting techniques will determine your character's fate. Will you fight for life or fight to the death? "Dead or Alive 3" boasts the most expansive fighting environments ever created. Multi-tiered settings enable challengers to move throughout multiple areas within a specific level. Interactive environments feature destructible scenery that adds to the action. Varying terrain such as mountains, slopes, and sand dramatically affect gameplay. A realistic physics engine and life-like character models provide a stunning degree of realism. State-of-the-art clothing and muscle animation bring vivid detail to each encounter. Dramatic lighting, shadows and reflections work together to create a compellingly realistic experience. Revolutionary water effects seen in puddles, ponds and oceans enhance already jaw-dropping gameplay environments. New characters such as Hitomi and Christie square up against old favorites like Kasumi, Lei-Fang and more. New costumes, moves and reversals take the deep fighting engine to the next level. Improved story mode immerses players in a compelling story told through enhanced cinematic movie sequences. Up to four players can battle it out in an intense multi-player mode. Intriguing multiple game endings present a powerful game finale that changes with each character.